William J. Clearihue, Anaplastologist | Ocular Prosthetics, Inc.
Ocular Prosthetics is pleased to offer the services of William J. Clearihue, Ph.D., CRPC, a master of restorative facial prosthetics. William’s extensive experience in the field includes many years working for the United States Air Force (USAF) and the Veterans Administration. While in the USAF, William attended the UCLA Maxillofacial Prosthetic Residency training program. 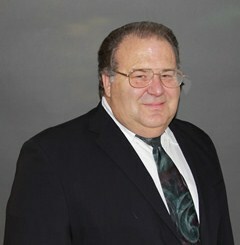 William is a doctorate of biomedical engineering as well as Certified Restorative Prosthetic Clinician. William Clearihue was recently awarded the coveted Department of California, R.J. Cosgriff Award, for Outstanding Disabled Veteran of the Year, in 2009. William has authored several scientific papers in prestigious medical journals, and has lectured internationally on the design of biomedical models and craniofacial implants. He is also a team member of the national “Operation Mend” project for wounded warriors. As an Certified Restorative Prosthetic Clinician, William provides his expertise in the custom designing, fabrication and fitting of complex removable facial prosthetics such as orbital, ocular, nasal, auricular (ear) and midfacial appliances. He is also proficient in the design and construction of finger and toe prosthetics. William has pioneered the field of craniofacial implants on CT scan biomedical models and is widely consulted for his expertise in this field. William’s restorations are a masterful work of art, design, function, and esthetics. William is available to see patients in the Los Angeles and Orange office locations.